If your boiler needs repairing or replacing, you could have the work done for free or at a reduced cost, thanks to a number of schemes. When winter comes around, the last thing you want is your boiler packing up as the mercury drops. 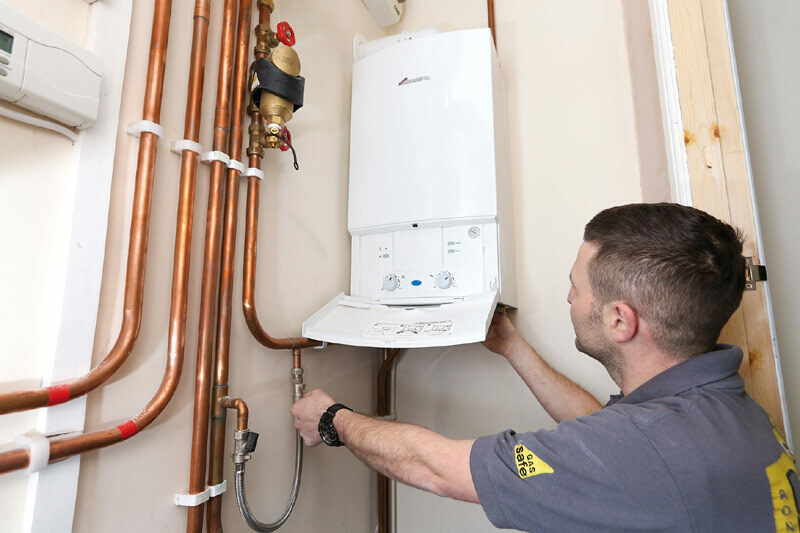 So if your boiler needs repairing or you have had it for years and you could benefit from a more energy efficient model, now’s a good time to look into getting it sorted. What’s more, you could qualify for a free replacement gas boiler under the Government’s Energy Company Obligation (ECO) scheme. The ECO scheme replaces the previous Carbon Emissions Reduction Target, or CERT, but is the same in that it sets the big energy companies targets for improving energy efficiency in low income and vulnerable homes. live in a postcode area the Government has chosen to benefit from the ECO scheme. Five of the ‘big six’ energy companies are currently offering free boiler replacements. You don’t need to be a customer of the company to take advantage of the offer, however it is probably a good idea to ask around your local central heating firms for any boiler offers they may have. If you’re eligible, they will send round an assessor, who will look at your boiler and the rest of your home to see what energy efficiency improvements you qualify for. If your boiler is going to be repaired to replaced, they will then arrange for a qualified installer to come out and do the work. The work will usually come with a warranty. The Energy Saving Trust estimates that replacing the most inefficient old boilers (those with a G efficiency rating) could cut over £300 a year off the average home’s heating bills. With a new boiler costing around £2,300, this is a serious amount of money you could be saving. If you’re not eligible for work via the scheme, it could still be well worth your while repairing or replacing your current boiler. The most obvious way to pay for this would be using any savings you have. You could also spread the payments via a 0% purchases credit card. Or you could look at a finance scheme such as the Government’s Green Deal. This allows you to pay for energy efficiency measures, such as fixing or replacing your boiler, via your future electricity bills. The basic premise underpinning the Green Deal, or the ‘Golden Rule’, is that the savings you’ll make from using less gas and/or electricity will balance out the cost of the energy efficiency measures. Find out more in The Green Deal explained. If you want to use greener technology to heat your home, it’s probably worth looking at the Renewable Heat Premium Payment. This is a Government scheme that provides free grants via vouchers for the installation of renewable energy measures such as air-to-water heat pumps, biomass boilers and solar thermal panels. There’s more information and application forms for this on the Energy Saving Trust website. You’ll need to have a Green Deal assessment carried out before any work can begin. If you are not eligible for the scheme, you can talk to APG Domestic’s Boilers on Finance, who will be able to advice on flexible payment options if you would otherwise struggle to pay for a new boiler.